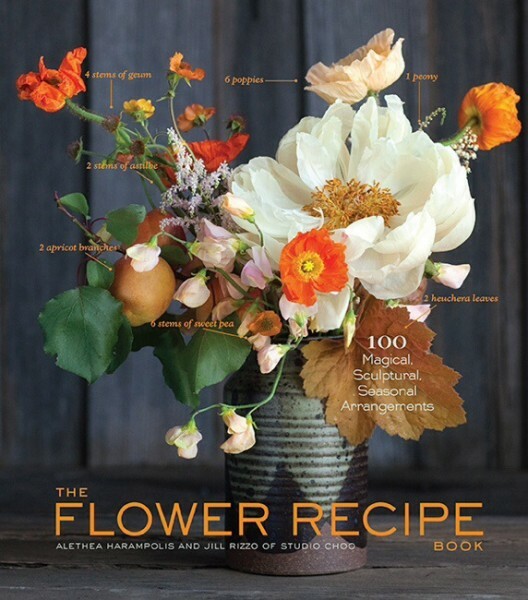 The Flower Recipe Book came out last spring to all kinds of rave reviews. A couple of weeks ago, I picked up this beautiful and affordable (under $15!) hardback book and read it cover to cover. It definitely delivers on how to structure a better bouquet. But maybe even better is the “ingredient chart”– it’s a ready-made shopping list for choosing plants for your cutting garden. 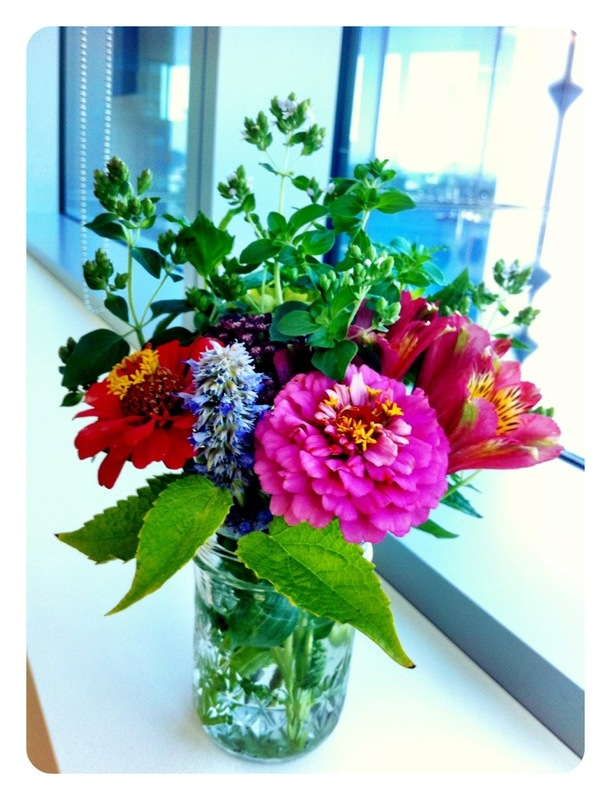 The ladies of Studio Choo borrowed the recipe construct and artfully applied it to flower arranging. For each bouquet, they offer a list of flower “ingredients.” Then they walk you through each step to create their sometimes sparse and sculptural, but more often lush, modern arrangements. Plus, there are lots of stunning photos. Two summers ago, I started a cutting garden in my backyard. I love the idea of growing most or all of the flowers I need for bouquets throughout the growing season. I was hoping this book would help me fill in my flower garden, as well as create better arrangements from what I grow. It did not disappoint. I found the ingredients chart towards the front of the book to be super useful as a sort of pantry list. I took stock of what I was already growing and compared it to their suggestions. It turns out I have lots of base flowers and secondary flowers, but need some more focal flowers, base foliage and textural “bits.” Such useful insight! And better yet, I’ll know exactly what to do with the flowers once they’re growing in my garden. 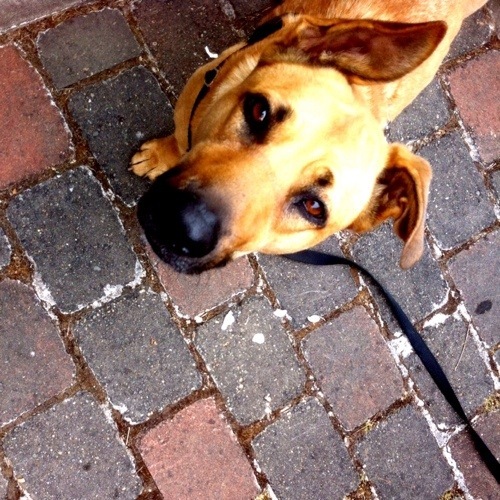 Meet Béa, she’s our 5-year-old rescued pound puppy that we adopted not quite a year ago. She came from a really awful place before she was taken to the Humane Society by the police. When we brought her home from the shelter two days after Valentine’s Day, she was still nearly 10 lbs underweight with injuries that hadn’t been healing. Over the last 10 months, Bea’s life has changed dramatically and so has her personality. She was sweet and smart from day one, but she was also anxious and uncertain, with not many manners. 1) Tie your silverware or napkins with a small piece of velvet ribbon in a seasonal color like they did at this Tennessee wedding. 2) Add gold candleholders in various heights for sparkle. 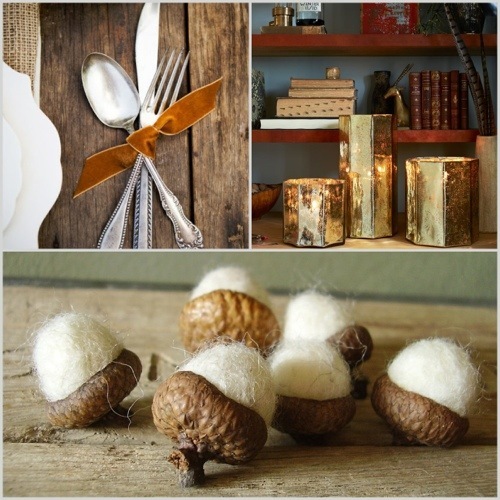 3) Scatter some of these handmade felted wool acorns around the table, heap them in a small bowl, or put one or two at each person’s plate. Can you believe it’s almost September? 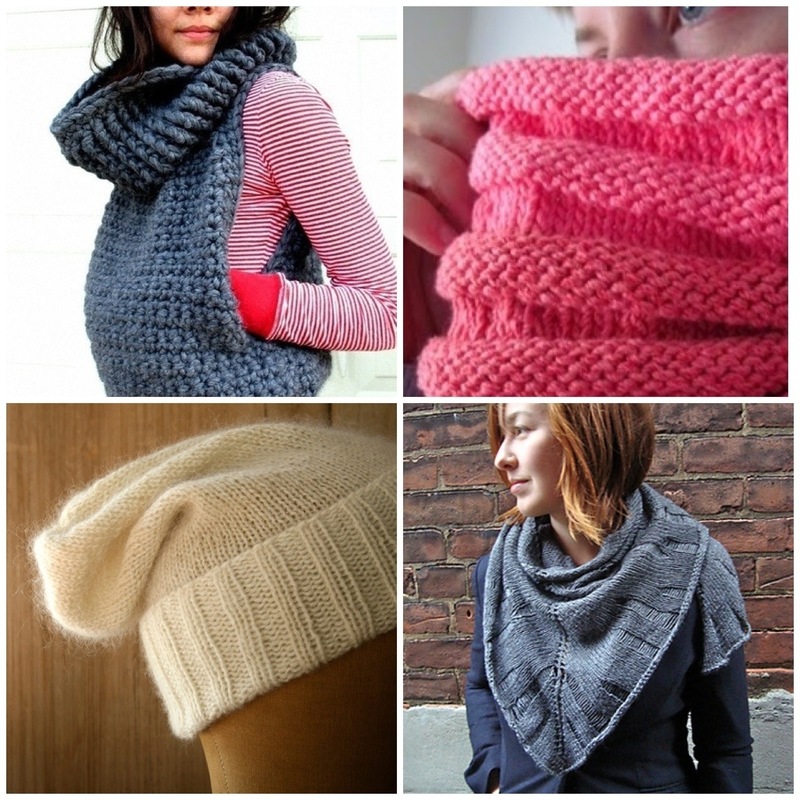 Besides hunting for a few perfect finds to add to my closet for fall, I’ve also been sorting through a heap of knitting ideas– looking for projects that are unique, stylish and simple-to-make. These four rose to the top because they check all three boxes.